EPT Live color commentator and chief PokerStars funnyman Joe Stapleton gets into the holiday spirit by embracing the Xmas edition of “Challenge Stapes” from EPT Prague. Through an online poll, the EPT Live viewing audience decided to force Stapes to dress up as Santa Claus, sit in his hotel lobby and coax people to “sit on his lap.” From the looks of it, there were no shortage of folks who were eager to hop on and help out. From poker pros to co-hosts, this stunt gave Stapes plenty of opportunity to do a little crowd work and make some wishes, including his own (courtesy of Miss Finland) come true. Looking to kill a little time? Want to watch something new? Well, PokerNews has put together a couple multi-part mini-features about two recent newsmakers in the world of poker. Once you’ve enjoyed that, American Chess Champion Jennifer Shahade details her beginnings as master strategist and her growth into one of the predominant women on the poker scene. Broken into 3 easy to consume parts, all of which you can “check” out below. Unibet dumps everything they have online in time for the holidays. The 2014 Unibet Open featured their 5/10 Golden Cash Game with hole cards, commentary and poker superstar Viktor Blom. They had been slowly releasing hour long episodes for you to enjoy over the past week, but it seems that today they’ve dumped the entire thing, over 27 hours worth, online all at the same time. So if you are a true poker television junkie, like, you just can’t get enough, then here’s a motherload of cash game action for you to zone out to during the holidays. Episode 1 is above, 2 & 3 are below and then…if you think you are up to it…you can check out every other episode right here. Advise from Erik the investor. Jason Saltzman, poker enthusiast and columnist for Entrepreneur Magazine, feels like the worlds of poker and start-ups have a lot in common. Hard work, determination and a little bit of luck all go a long way in determining the future of your success. As Saltzman finds out, 8-time WSOP bracelet winner Erik Seidel also feels this way too. Seidel, who has made over $20M in lifetime earnings (much of that by crushing high rollers), is a part time investor as well. So when Jason runs into him the pair have a quick chat about what it takes to win from Las Vegas to Silicon Valley. Calvin Ayre’s Lee Davy exposes the feel-good truth about Amanda Musumeci. 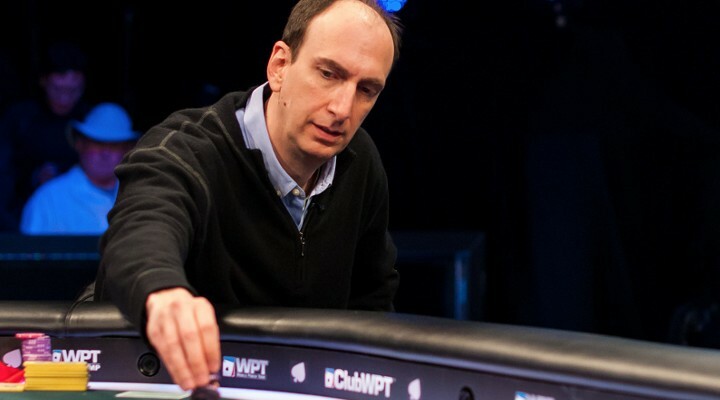 Lately we have been featuring quite a number of “off-the-felt” interviews (Erik Seidel, Greg Raymer) where poker pros delve more into their personal lives than professional. In the latest from CalvinAyre.com, poker pundit Lee Davy takes a knee with the sometimes volatile poker pro Amanda Musumedi to talk about her life aspirations beyond poker, what it’s like a such a young age to be someone else’s primary caregiver and the fact that she’s a bit of a conspiracy theorist. “I strongly believe that the United States is keeping the cure for cancer out of reach. The American Health care system in general makes me sick. It’s a solid look at a poker pro as a crossroads between being one of poker’s “Ones To Watch” to dedicating her life in a totally different direction. You may not like the idea of online poker or online casinos, but try as one might you are not going to stop them. This is basically the opinion of the latest op-ed from the editors of the Las Vegas Review Journal which denounces Congress’ probable future attempts at banning all forms of online gaming as a waste of time as, if you ban online poker, people will play anyway. Americans continue to play cards on unregulated, off-shore poker websites. Americans also continue to place wagers through online, unregulated, off-shore sports books. And there are no signs that the collapse of the republic is imminent. While the LVRJ doesn’t even think that online gaming is good for the casino industry in Nevada or the country in general, they clearly don’t think that trying to pass and enforce laws that would be both costly and, likely, unenforceable is a very good idea either. 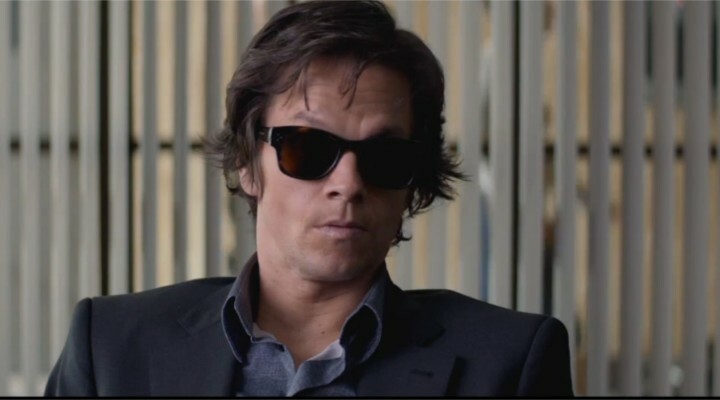 Here in a sit down with USA Today Wahlberg plays a little poker, a little blackjack and a few clips of the film in hopes that come December 19, you’ll forget all about this “The Interview” nonsense and hit the theaters to watch him brood for the camera. 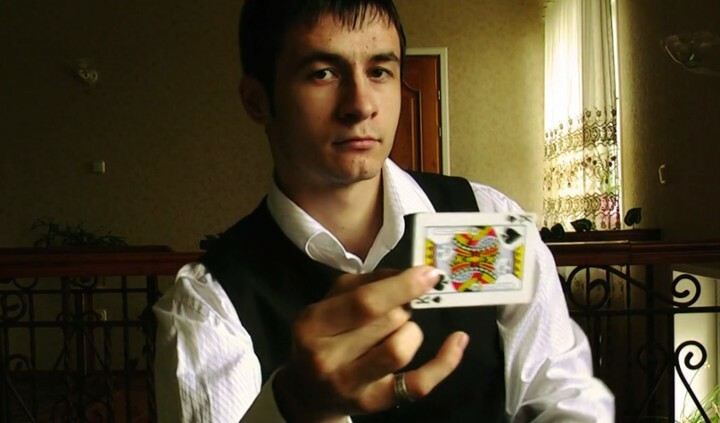 These may just be card tricks, but they sure do look pretty cool. While it’s possible that there’s some post-production trickery in this video these high level tricks look to shine a light on some amazing card deception. Watch as the onscreen talent performs some slight-of-hand tricks that would make Worm proud. We didn’t know this, but it turned out that PokerStars has been keeping an eye on who has accumulated the most Play Chips (fake money) on their site. The 'Billionaire Club’ is an opt-in list of those who grind to kill some time and everyone on it could buy a fake sports team or two with the amount of fake money they have put into their coffers. What is even more amazing than these guys raking in such high scores is that 2nd on the list is poker icon and Team PokerStars Pro Chris Moneymaker. First, Barry Greenstein takes down the play money equivalent of the Sunday Million, now we find Moneymaker (playing under his Money800 moniker) has somehow played enough to win roughly 12.5B in fake money. The fact is, there may a lot of reasons some enthusiasts might play fake money poker: no bankroll, no legalized online poker or confusion over whether it’s real or not. But with Moneymaker’s powerful place on the fake money list it looks like, even in the world of make believe, the cream will rise to the top. Of course, if you don’t have the patience to start from $1000 and turn it into a multi-billion dollar Fantasyland fortune, you could always buy fake chips. World Poker Tour's Raw Deal and livestream host Tony “Bond18” Dunst gives us an inside glimpse into the moody world of his (sometimes) daily grind. Hitting the gym, putting some Daily Fantasy Sports research in, donking around at the tables (both online and off) and then taking in whatever city the WPT happens to be in at the time are all on the schedule. There’s seemingly not a WPT sponsor or partner that’s not a part of Tony’s daily plan. Tony and the whole WPT crew are currently in action at the Bellagio for the 2014 World Poker Tour Five Diamond Poker Classic where Daniel Negreanu has amassed a top 5 chip stack. For update all day long, check out the Live Update page. 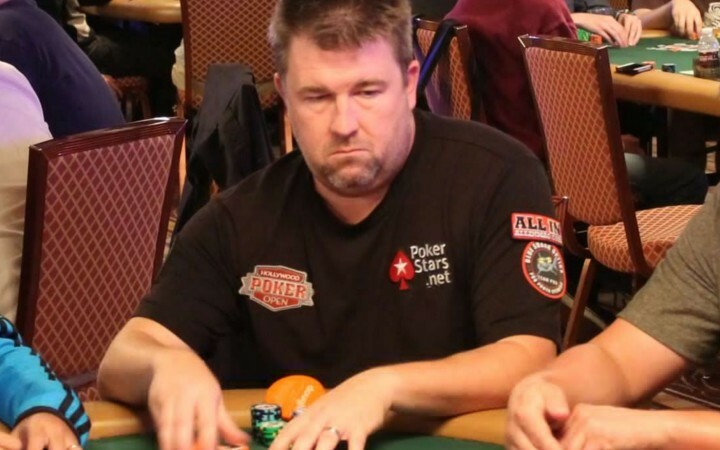 Read More: Did The World Poker Tour Dump Doyle!? PNIA wraps up their stay in the Silver State. As Season 1 of Poker Night in America winds down, the crew prepare to wrap up their visit to Reno with some more $25/50 made-for-tv cash game action. PNIA mainstays David “ODB” Baker, Tom Schneider and Danielle Andersen headline the table as the action comes to a close. Don’t worry though, Season 2 of Poker Night In America is right around the corner. The series returns to its 10pm Eastern time slot on the CBS Sports Network but they move from Sunday to Monday in the New Year. Catch all the action starting on January 5th! Looking for more PNIA? Check out episode 21 right here. As mainstream as poker may be, it’s still a target for thieves. In this posting of another Poker Crime Logs we find two separate poker games, both held up at gunpoint with the criminals facing prison time for their crime. A 28-year old Waterloo man is facing up to 25 years for invading a house during a poker game, assaulting multiple victims, steering their cash, a PlayStation 3 and their cell phones. Turns out those cell phone have something called “GPS technology” (who knew?) and cops traced one of the stolen phones. The phone was ditched, along with a gun which had the dude’s DNA and now, after a bunch of the victims picked the intruder from a lineup, he’s headed on a very long trip to the slammer. 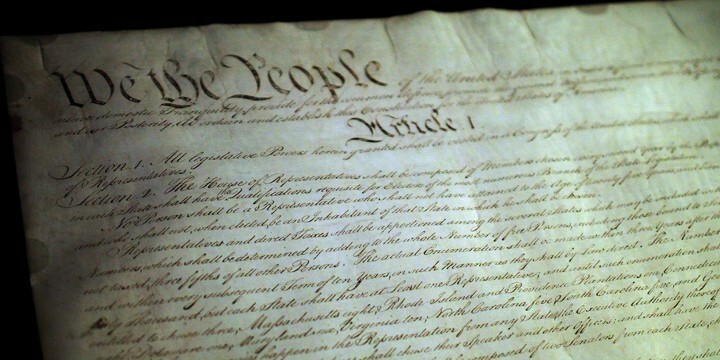 While that story is terrible, this next one is worse – and it serves as a warning. 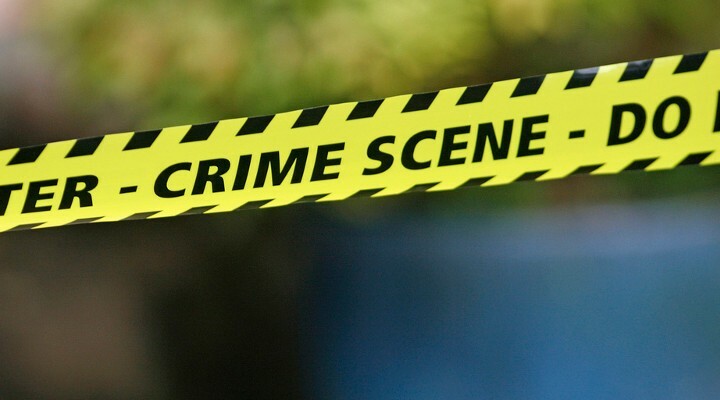 Two men are facing murder and manslaughter charges from a botched robbery of an underground poker tournament in the Canadian city of Brampton three years ago. The two men, a 21 and a 27-year old, were part of the crew holding up the tournament when the organizer of said got into a scuffle with one of the gunmen. Being beaten by one of the gunmen, the organizer was to be thought in “mortal danger” when 28-year old good samaritan and aspiring MMA athlete Keran Nedd rushed to his aid. The 21-year old would-be thief fired 9 bullets into the crowd of 130 people. One of which struck and ended up killing Nedd. The trial of the poker theives continues this week. Poker players, be careful out there. The holidays are great, right? Families, food and tons of time to get your grind on. The dudes at BorgataPoker.com know this and so they do what they always do…put up a ton of free stuff, $25,000 worth, in order to earn your New Jersey based business. Borgata’s 12 Days of WIN-ter (get it?). Every day they are holding a drawing. Winner gets 1K. You do nothing, they give out a grand. Not good enough? On the 12th Day of WIN, they 10x that and give away $10,000. That’s a trip to the big dance friends. Just because it’s the holiday, season someone wins $10K. Now, you’re a poker player so you’ve done the math…that doesn’t equal $25K. That’s right, so Borgata is also giving away a ton of other prizes including tournament tickets and casino bonus dollars. When the 12 days are done, Borgata will be 25K lighter and you’ll have faded some awkward familial interactions by running it up on BorgataPoker.com. Remember though, play with your head, not your rent and have a super happy holiday. Now go take a tournament down. Former champ address some non-poker issues. Greg “Fossilman” Raymer is back in front of the camera and ready to answer the tough questions like…“What is your favorite drink?” and “What do you do in your spare time?”. Heartland Poker Tour's Jaymz (yes) Larson keeps it classy and pitches the former HPT POY softballs that, he claims, YOU sent in! Learn, for instance, what is on Raymer’s playlist (80’s metal) and the definition of flexibility. So, get to know some off-the-felt facts about Greg Raymer. Sunglasses not included. 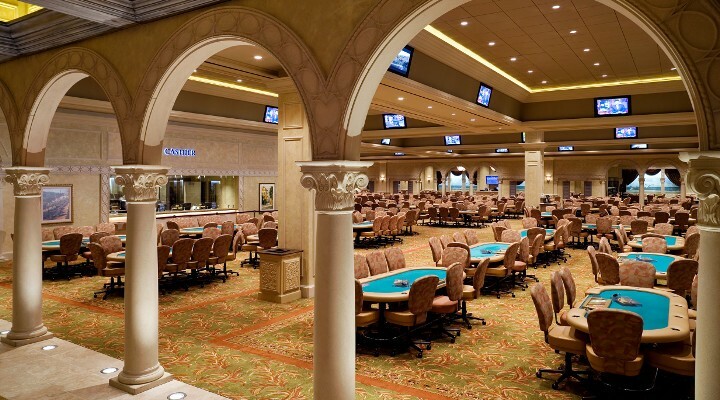 Legend’s name omitted from Bellagio mainstay tournament. 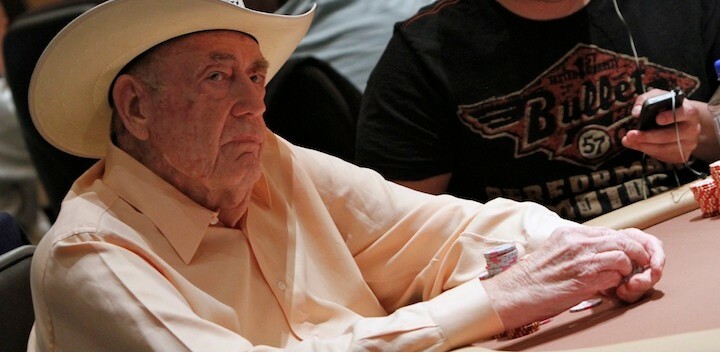 For years, including last year, Bellagio’s big December tournament laid claim to one of the biggest names in poker: Doyle Brunson. The WPT Doyle Brunson Five Diamond Poker Classic seemed to be a mainstay in the WPT schedule honoring the legendary godfather of poker while carrying the prestige a tournament holds that bears his name. But here in 2014…that name is nowhere to be found. The WPT has had a long history with Doyle’s name. Back in 2004 and 2005, the WPT changed their Festa Al Lago tournament into the Doyle Brunson North American Poker Championship. In Season 5, the Brunson NAPC was pushed to Dec – this date would become the 5 Diamond. In Season 6 it was simply the Doyle Brunson Classic Championship. Then in Season 7, Chino Rheem won the Doyle Brunson Five Diamond World Poker Classic. Season’s 8 & 9 the Five Diamond also kept his name. Then in Season 10, Doyle’s name seems to be omitted on the website but it appears in the press release announcing James Dempsey’s victory. Finally, in Seasons 11 and 12, Doyle gets his due. So, is this a random omission or the end of an era? Maybe it was just an oversight (like in Season10), maybe Doyle’s done lending his name out or maybe the name of the tournament is like this post – just too damn long. We put in as much research as we were willing to for such a frivolous, speculative post – so if you know, let us know! Either way, it doesn’t look like Doyle’s holding anything against the Bellagio since he indicated that he’s planning on playing there straight through the holidays. Of course that too could be in dispute. Doyle also indicated via Twitter that he was planning in playing in America’s Cardroom $1M guarantee this past weekend (which didn’t happen). But here’s the good news, Doyle or no Doyle the WPT Five Diamond is officially underway and many of the biggest names in the game are on hand to play. Check out all the Live Updates over at the World Poker Tour website. Happy Birthday to the Magician! As promised, top-tier poker pro Antonio Esfandiari had a blow out birthday party in Las Vegas this weekend at Marquee. Antonio, who officially turned 36 on December 8th, received the royal treatment from all his pals, which reportedly included Daniel Negreanu, actor Don Cheadle as well as Phil Laak, Brian Rast and, of course, Jeff Gross. Not to mention the crowd of club-goers holding Antonio signs and a classic Esfandiari fat head. When it came time to cut the cake, it sure looked like Antonio had is share of fun. “I’ll regret this in the morning” stare into the camera? Check. And before he lost his jacket, here’s a shot of Antonio toasting in celebration with his real best friend – his pops. To think that Antonio has had such an amazing career in poker so far and he’s only 36. Here’s to many more birthdays for the charismatic Magician. Stars align for the One Step Closer Foundation. Last week we posted about the Jamie Gold hosted charity tournament where proceeds went to benefit the One Step Closer Foundation to help those dealing with cerebral palsy. Well, not only did some big names in both poker and entertainment show up to play, perhaps the biggest guy in the room bullied his way to the victory. 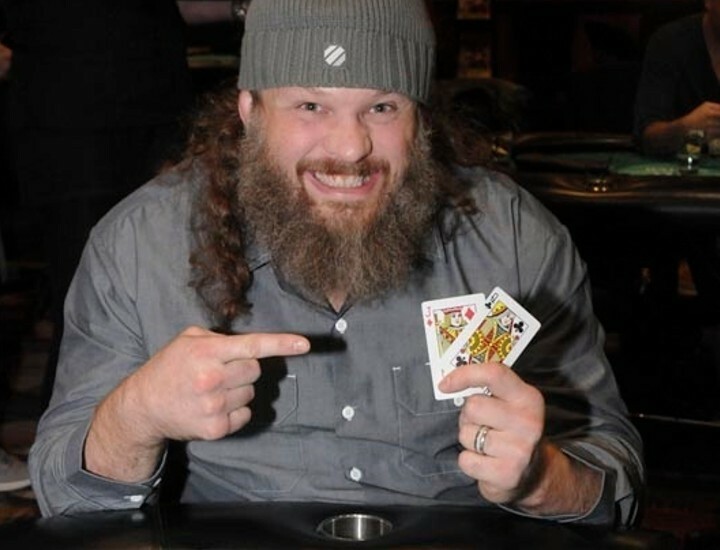 Roy “Big Country” Nelson, the current 9th ranked heavyweight fighter in the UFC, took down this tournament and won $10K for his efforts. Nelson had to fade quite a number of players too as big shots like Phil Laak, Jennifer Tilly, Noah Schwartz and Robert Mizrachi took their seats. Along with Jamie Gold, one-time WSOP Champion Joe Cada was in the mix too. But it wasn’t just a bunch of poker pros, in fact they were the minority as celebrities from lists A-D came out to lend their support (and money) including Coolio, Jose Canseco and co-host Cheryl Hines. Over all, according to the Las Vegas Informer, the good time was also augmented by the $50,000 that was raised to help those dealing with CP. Greg Raymer on commentary duty. Boeree chats about giving back and (almost) getting there. From starting a charity to falling in love with Russian high-rolling superstar Igor Kurganov things couldn’t be better for “The Iron Maiden”. Even her poker frustrations in 2014, where she ran deep in some major tournament but couldn’t “get there”. aren’t bringing her down. Along with her new romance comes some new perspectives on the felt as Liv talks about all the new tricks she’s learning from her new partner in charity. 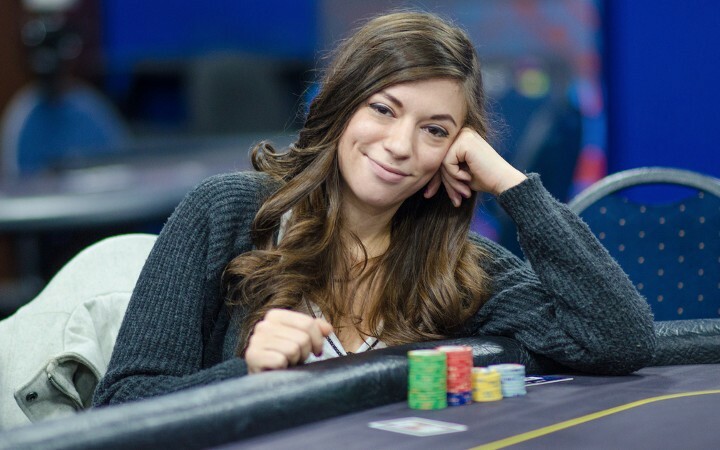 As of now, all those still left in the Main Event at EPT Prague are comfortably in the money. But before that money bubble bursts the tension couldn’t be higher as players cling to chips in an effort to not be the unfortunate jerk who goes “all that way” for absolutely nothing but a story of heartbreak. When you are at a big time tournament like an EPT and there’s only one player left until the money – the media frenzy can get intense. Check out this sick photo by Ukranian cover boy and Team PokerStars Pro Eugene Katchlov of what an “all-in and a call” looked like at his table, from his perspective. Not all-in, but clearly in the photo is poker pro Shannon Shorr (in the 2 seat). He took some time to walk down memory lane with PokerNews about some of his sickest bubble experiences and even talk a little strategy about how to approach the bubble – despite not having a plan himself. If you are a fan of the Netflix hit “House of Cards” then you are likely to chuckle at this PokerStars sponsored spoof where a Francis Underwood type hero preaches at the camera breaking down the action against the one and only Johnny Lodden. Below, Lodden talks about his on-set experience with Remko and how he got picked to play the “villain” in the sketch.